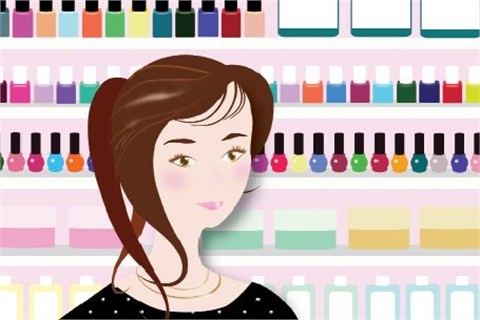 Are you still loyal to the product brands you learned with in nail school? I am still loyal to some of them. I still love and use the Footlogix products. My school also had Akzéntz, and I am back to using that again. Talking to other techs made me think outside my school’s box long ago. I love what I use now, and I am thankful for Facebook and friends who do nails for product recommendations. Nails Hands Feet and Toes, Winnemucca, Nev.
Mostly. I trained on OPI, and the brand has been ranked at the top for years and years. So if it’s not broken, why change? Definitely not. As an educator for Hand & Nail Harmony, I travel to many schools in Florida to do demos and hands-on classes, and I find school owners usually get the cheapest products on the market and leave it to the students to do the product research on their own. It’s sad because in my opinion, schools need to give students as much education and options as possible so new manicurists can be successful. I learned with a no-name brand at my vocational-technical school. The product was horrible. I don’t even use the acrylic that I used in the first or second salons that I worked in. I constantly evolve and try new products — brands keep outdoing each other over the years. My loyalty was never to the product I learned on in school. After using products for three months that were made of poor ingredients and weren’t tech friendly, I realized that by buying this product our school was about saving money. Once I graduated, I found a product that met all my criteria for strength, flexibility, appearance, resistance to lifting, low fumes, and faithfulness from the company to make sure I was happy. Because of the manufacturer’s loyalty to me I have been using the products for over 25 years. I learned with INM and now I educate for them. I love the product.